The "Time Mismatch" error - Error 202 - can appear when running Composer or Player on a Windows PC. 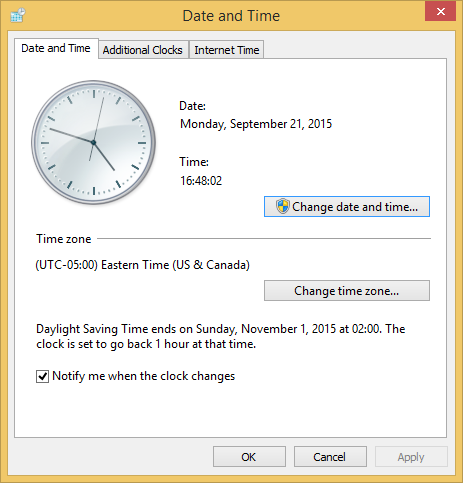 Verify that the time zone is correct for the PC's location. If not, click the "Change time zone" button and make the appropriate changes. 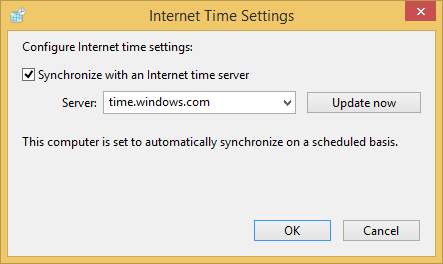 Check the "Synchronize with an Internet time server" box and click "Update now". We recommend use of the default time.windows.com server.